Home News Uncategorized Thank You Open Gardens! 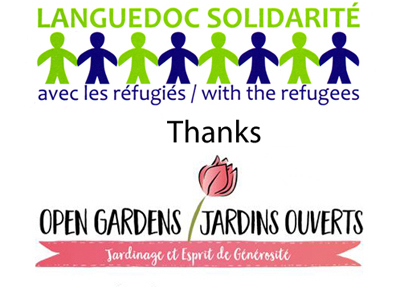 A big “Thank You !” goes out to to the Open Gardens/Jardins Ouverts Association for its generous contribution to support the efforts of LSR in making the lives of refugees a bit better. As we do with all the contributions we receive, we will use it carefully to provide humanitarian support to refugee families and young people inside France and in border camps. It is the support of individuals and groups like Open Gardens/Jardins Ouverts that makes it possible for us to do as much as we do.